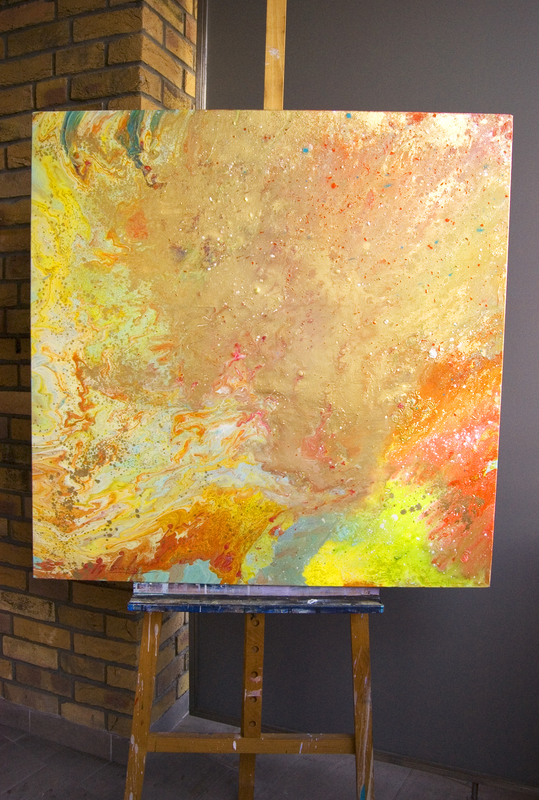 Artist of life. 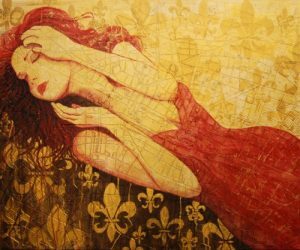 LOVER OF ART. 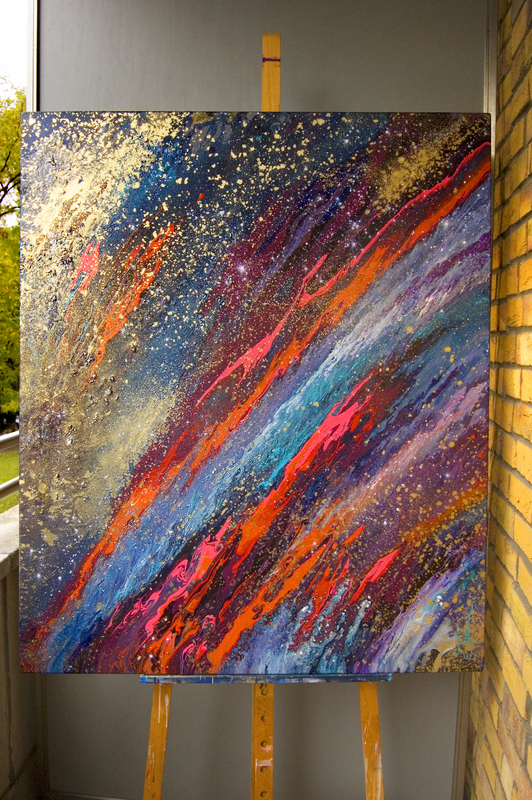 SOUL GIVEN TO EVERY PAINTING. 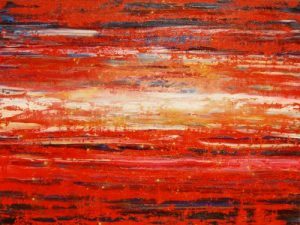 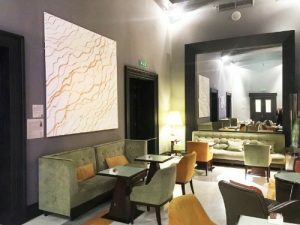 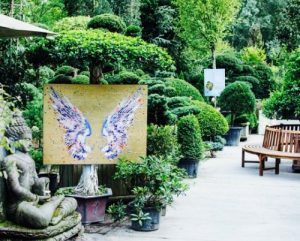 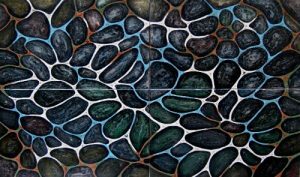 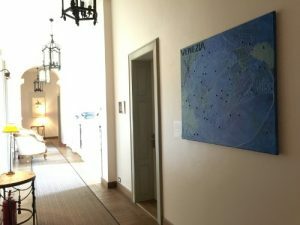 The artist's work will enchant you with its vivid colours, hidden symbols and they will leave a vibe of positive energy in you. 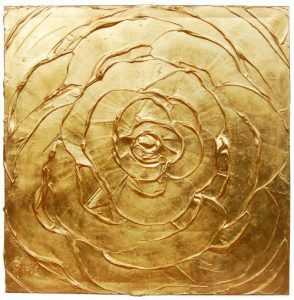 Sarah finds her inspiration rather in eastern philosophy and its approach than in western painting. 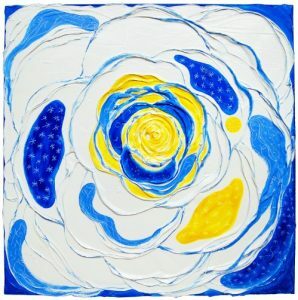 Her work is recognizable at first glance also thanks to a special technique, which she invented. 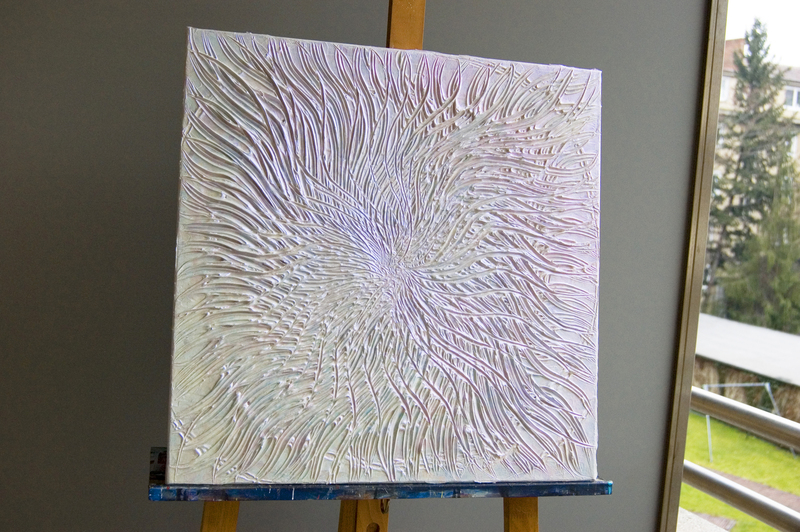 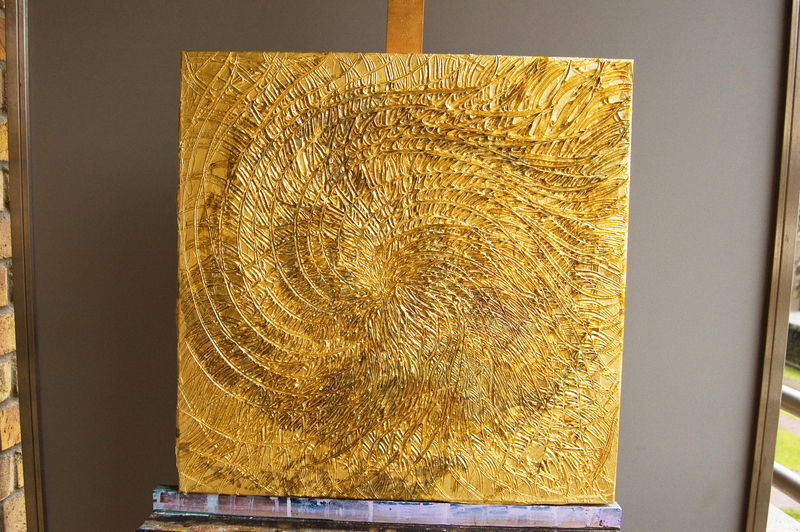 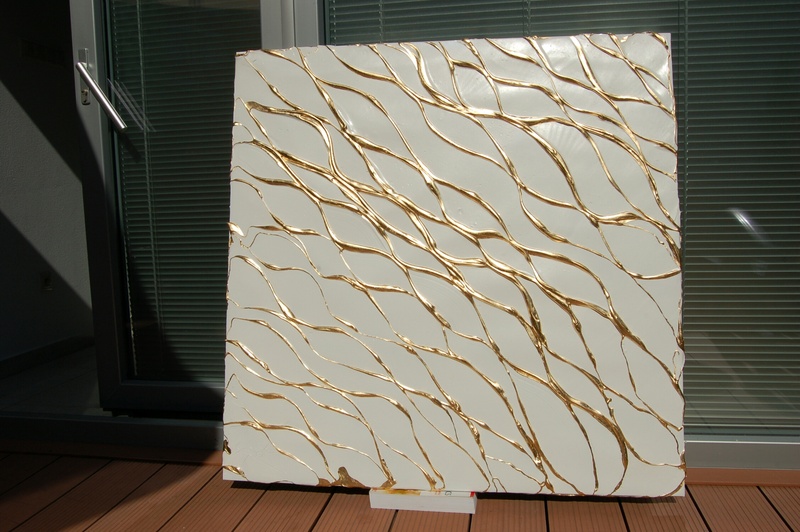 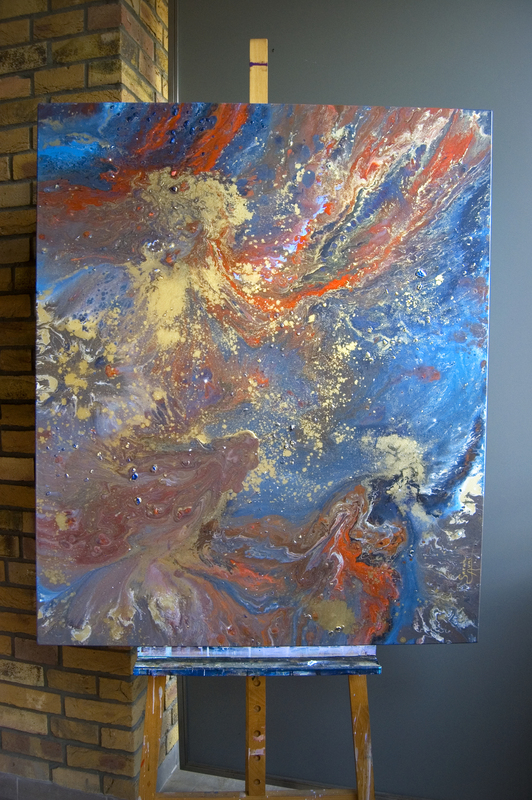 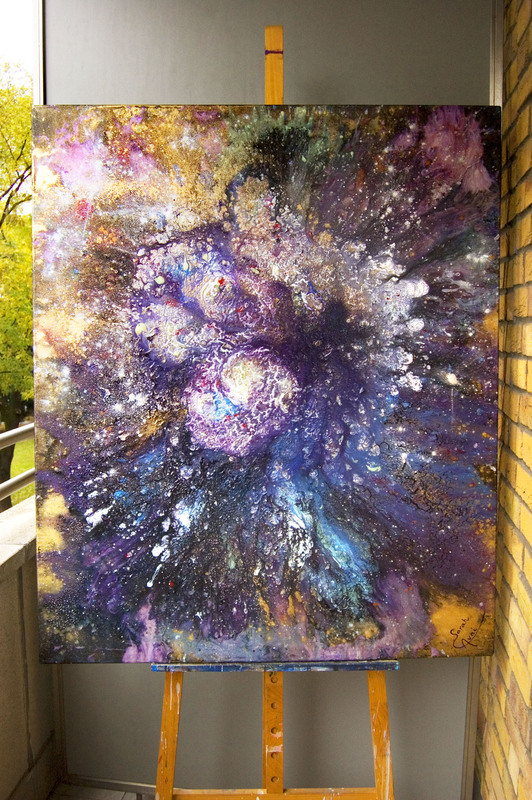 It is a specific structure creating impasto effect, but also old gilding techniques and mixed pigments which allow her to play more effectively with lights and shadows. 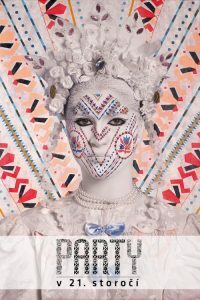 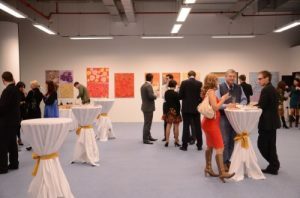 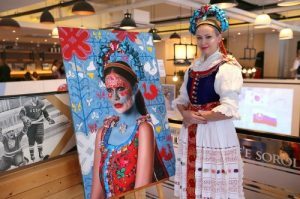 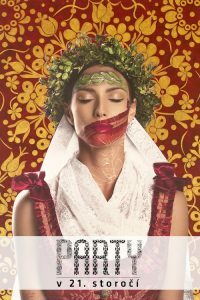 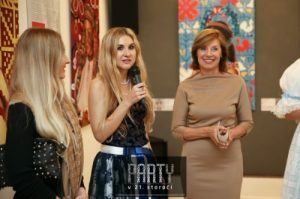 Since 2018 is the project that includes the paintings from the collection “Party in the 21st Century” a part of Slovakia official brand GOOD IDEA SLOVAKIA. 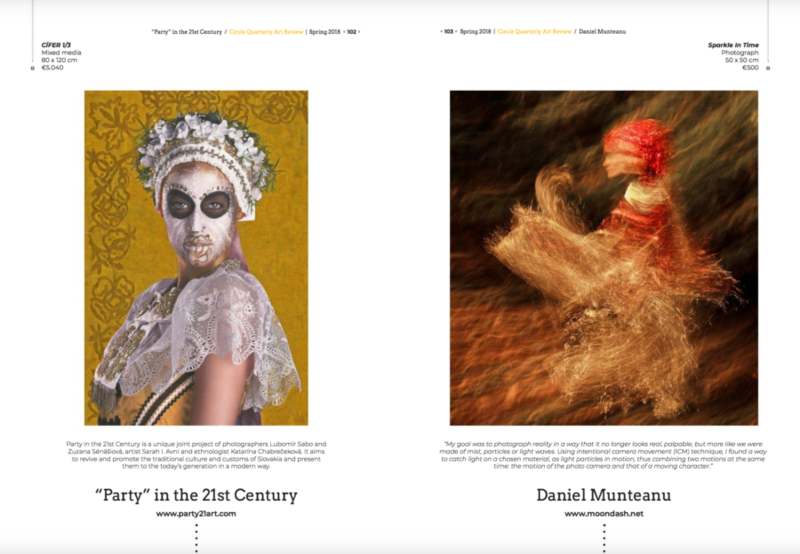 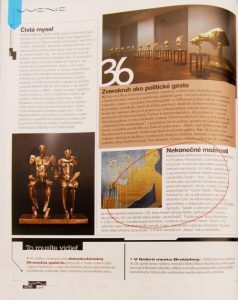 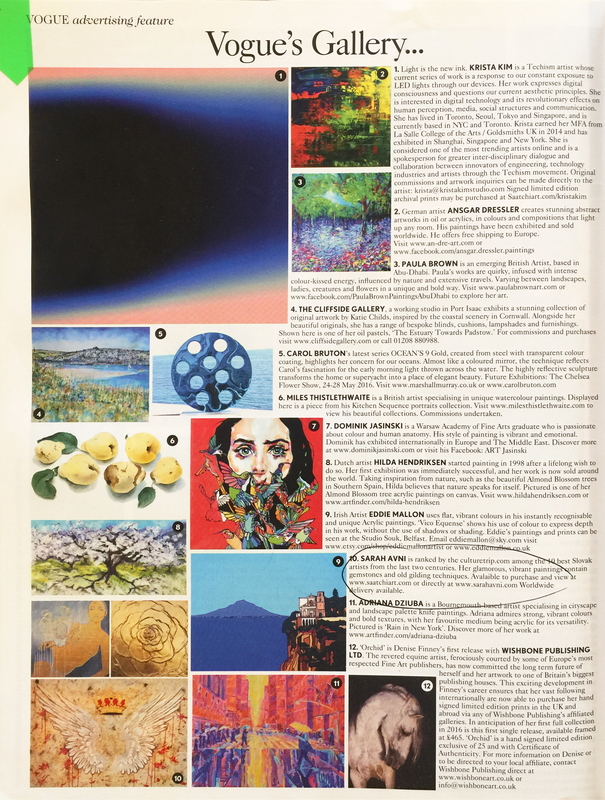 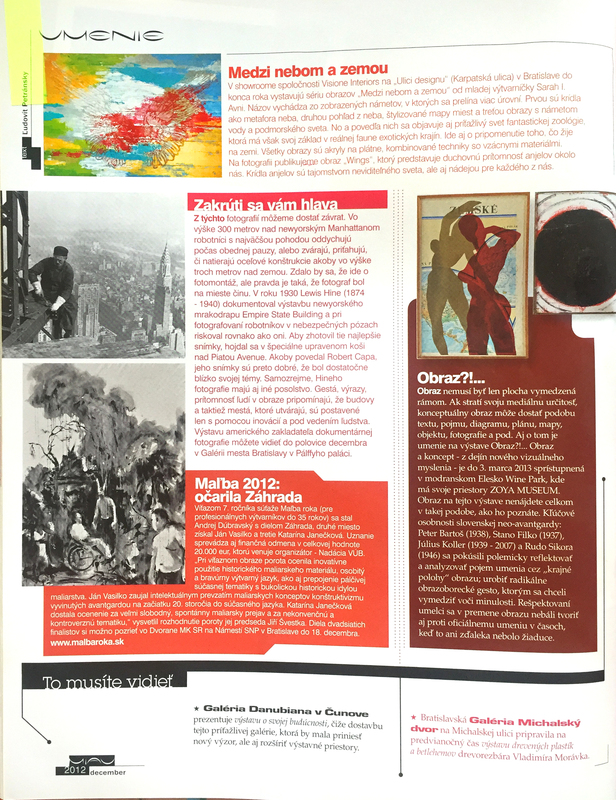 CIRCLE, an international art magazine, published one of the paintings from the collection “Party in the 21st Century” in spring issue in 2018. 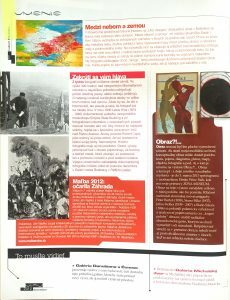 Those are published artworks regarded as current trends and original practices in visual art worldwide. 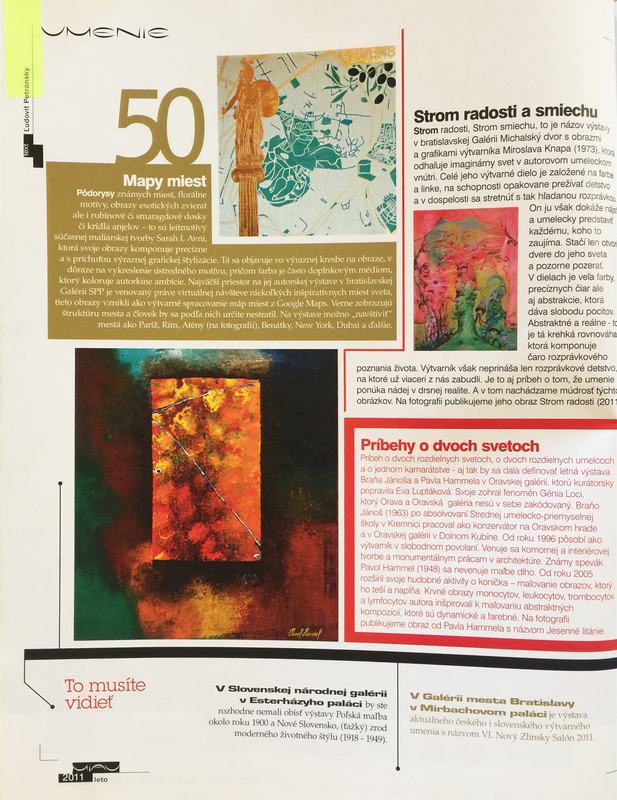 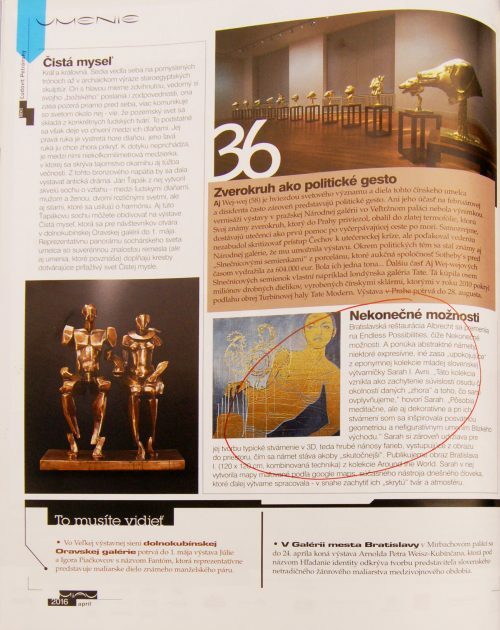 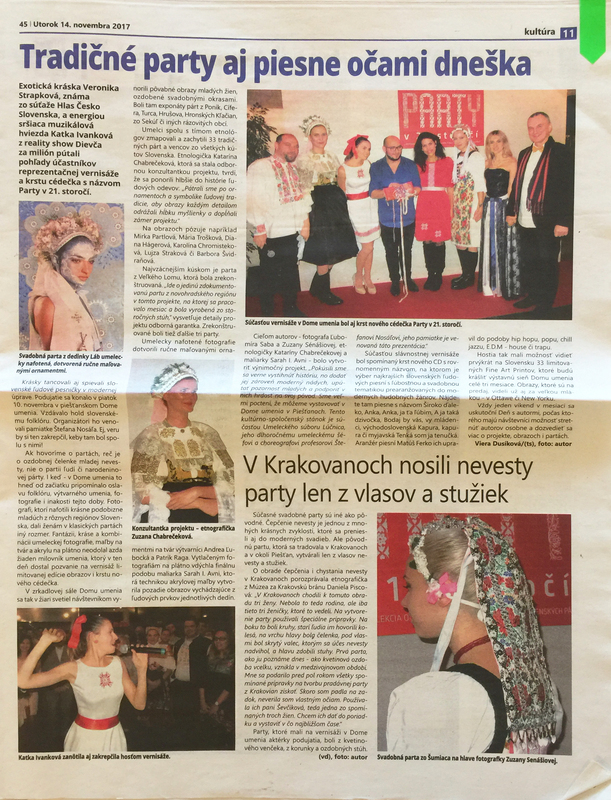 Collection “Party in the 21st Century” was chosen by Re:publika, one of the greatest cultural festivals in Czech Republic, as the only one art exhibition presenting Slovakia in the festival. 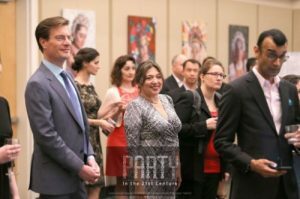 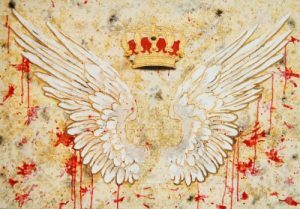 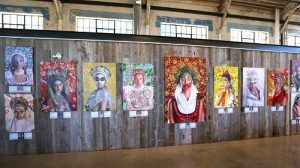 Collection “Party in the 21st Century” received a Certificate of Excellence by Artavita, an international active online gallery, in 2017. 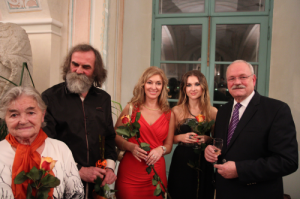 A video clip by Inside and Peter Cmorík, “Odraz duše”, released in 2016, was inspired by Sarah´s life. 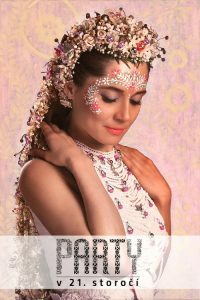 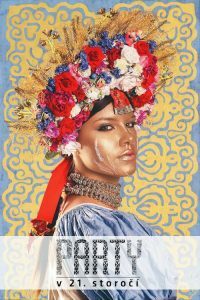 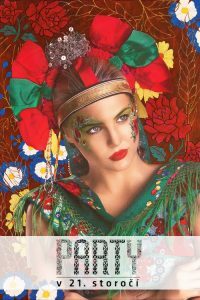 Since 2016, she has been the main artist of a very successful folklore-artistic project: Party in the 21st century. 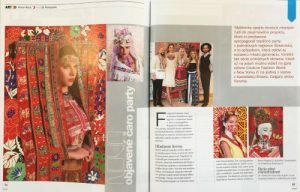 The works from this collection inspired by the Slovak crafts were created in collaboration with LSZ photography and were introduced already at over 20 exhibitions on three continents. 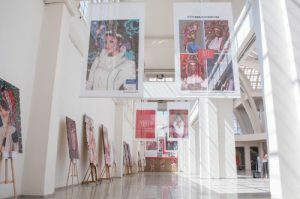 In 2016, a few of her paintings were printed in the 100th edition of the British Vogue. 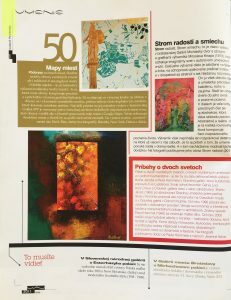 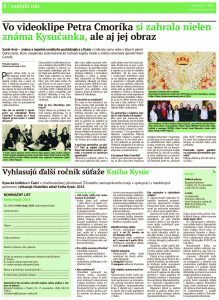 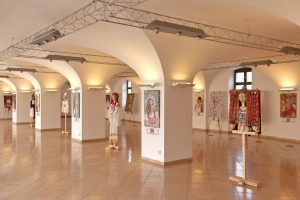 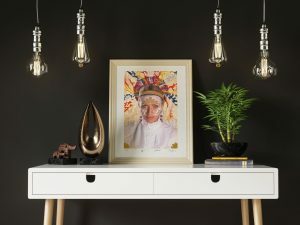 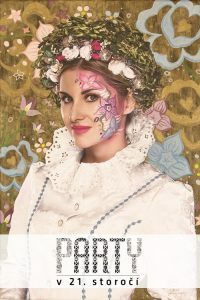 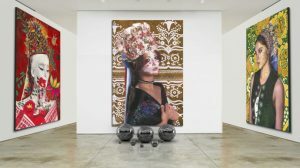 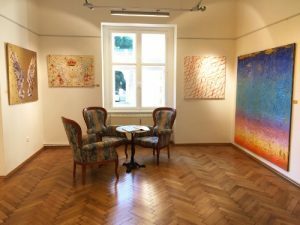 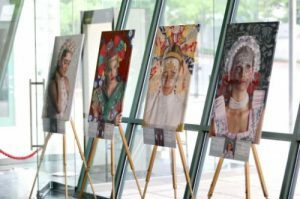 In 2015, she was ranked by an international cultural portal theculturetrip.com among 10 Slovak artists you should know. 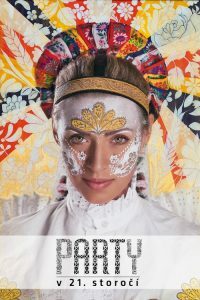 She is an author of the world's best sport-themed stamp from 2011 awarded by the StampNews International. 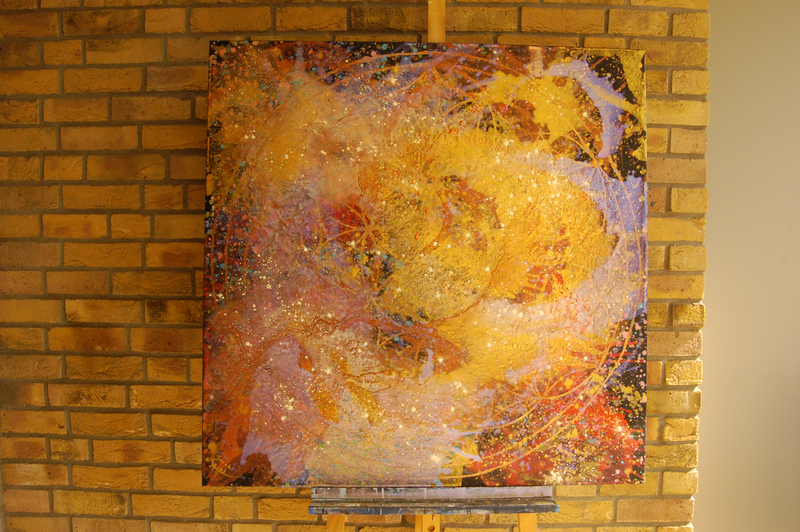 Please have a look ON A Few SARAH'S PAINTINGS. 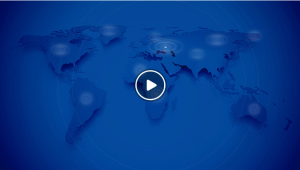 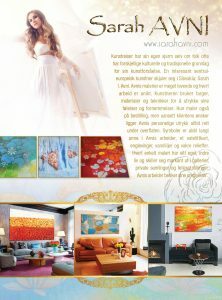 The Whole Portfolio You can Find on link bellow. 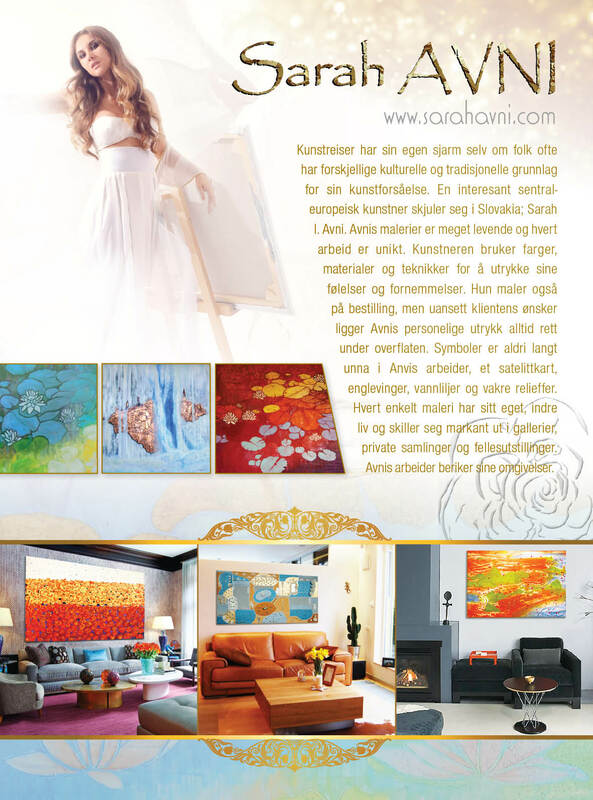 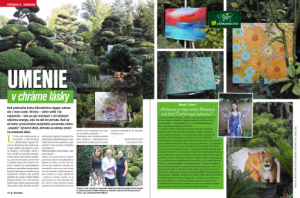 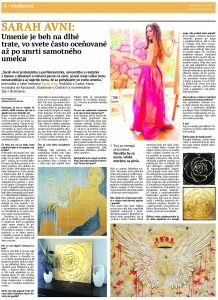 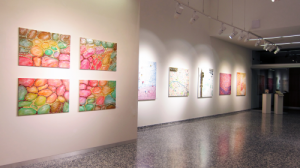 Please have a look ON A SELECTION OF ARTICLES ABOUT SARAH'S PAINTINGS AND RELATED EXHIBITIONS.